This Platygyra has bright sky blue fissures rimmed in tan. Some specimens develop additional green coloration on their rims. As with all Platygyra space should be left between it and neighboring corals due to its long sweeper tentacles. Frag of this lovely coral will be 1"+. Platygyra are an uncommon Large Polyp Stony (LPS) coral that are commonly referred to as Brain Worm Corals. They tend to be more fragile than either Lobophyllia Brain Corals or Maze Brain Corals of the Genus Oulophyllia however have a special aesthetic quality that makes them very highly sought after. If your reef tank specializes in top-end LPS, a Platygyra may be a coral worth considering. Please see below for additional care tips for Platygyra as well as checking out our Top 5 Tips for setting up a reef. 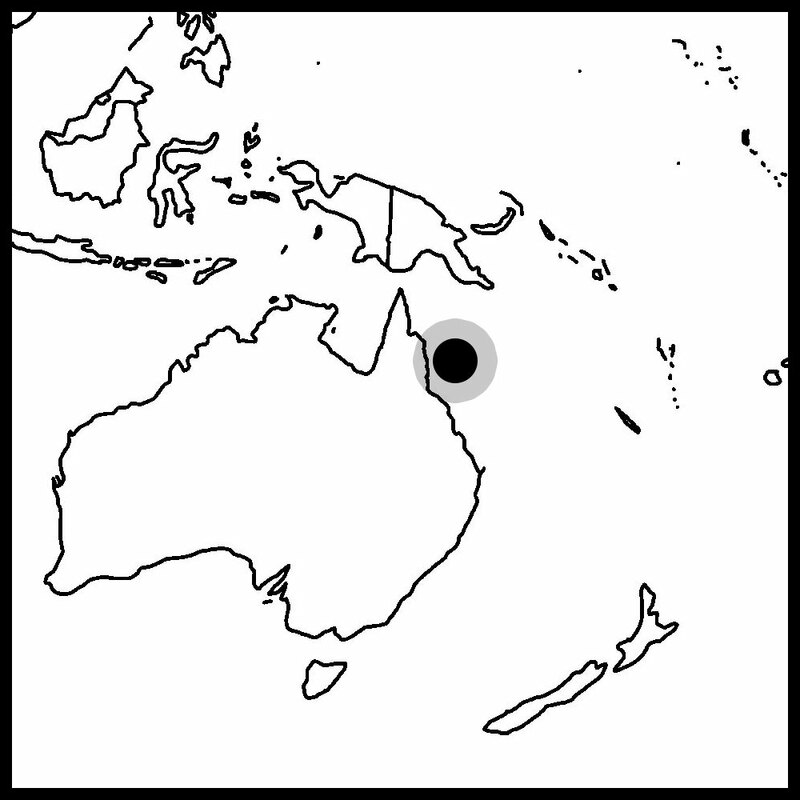 Indo-Pacific - Platygyra can be found in the islands of the Indo-Pacific including Fiji, Tonga, Solomon Islands, and the Great Barrier Reef. The most common locations we see these LPS are Indonesia and Australia. Platygyra do well in medium to low light however do not appear to be as sensitive to changes in light as many of their close relatives in the brain coral family. Unlike many types of brain corals, they have consistent coloration despite dramatic changes in light intensity and spectrum. We recommend low to medium light for Playtgyra because it is safer to err on the side of too little light than too much light. Platygyra are known to be somewhat fragile and can die quickly if stressed. Moderate water movement is recommended. We have kept Platygyra in both low and strong flow reef aquariums without significant differences in health. Lower flow is helpful come feeding time as their feeding tentacles are not very long. Like many of our other LPS, we strongly believe that feeding is a major key to the long term success of keeping Platygyra brains. They can be fed a mix of meaty foods such as pieces of mysis shrimp or small pellet food. They have a series of small mouths that line the inside of their trenches and cannot eat very large pieces of food. Platygyra are one of the corals that extends long sweeper tentacles. Sweeper tentacles are often used as a means of defense against other encroaching coral colonies. Their white tips contain a concentration of nematcysts that can damage more delicate tank mates. Most of the time, this is not a major problem but to be safe, we recommend placing it in a location far from other corals initially. In terms of propagation, this genus has been successfully fragmented.